You wake up to the alarm clock on your smartphone. You press a remote control that turns on the television. You fall out of bed and review your email while pulling up a favorite tune on your desktop. You amble to the kitchen where you pour a cup from your automatic coffeemaker and pop some vitamins to keep yourself healthy. All the luxuries we have gotten used to—the fridge, the phone, the Internet— don’t seem like luxuries at all. They’re so common now that we forget that forward-thinking scientists made all these things possible. The science that you might have dreaded in high school has made your life longer, easier, and healthier. Science is the force behind innovation, advancement, and progress. Science is the reason we have cured diseases, improved communication, easily traveled to other countries, and even voyaged to heavenly bodies. Clearly, science isn’t just about facts we learn in a classroom. Science is a habit of mind that involves problem solving, critical thinking, and analytical assessment. As citizens, we are asked each day to make decisions from the seemingly mundane—what vegetables to buy—to the more complex— whether to follow a treatment a doctor has suggested—that require some level of scientific understanding. The more informed we are, the better the decisions we make about what we eat, where we live, how we live, what we consume, and so on. Using a scientific mind-set, we are better able to analyze our choices. We are better observers who can see connections, understand where things come from, and predict what effects our choices will have. At the core of scientific thinking is a quest for truth and understanding. This quest drives innovation. On the path to truth and innovation lie wonder, discovery, and analysis, all three of which are innate to children. This habit of mind—the practice of thinking through problems and questions—must start with young children. Focus on cultivating their developing scientific minds. Start with open-ended investigation. Just as scientists start with an inquiry (not an answer), provide children with an open-ended question, a problem to solve, or a design challenge. Give them materials to explore and offer guidance as they investigate. Let them work toward a solution or the development of even more questions. Develop children’s observation skills. To prepare students for these open-ended investigations, be sure they understand the primary tool of science: observation. This second premise comes quite naturally to children, but observation must be expanded beyond what children see. They can easily record or verbally share their visual and aural observations. Dependent upon the task, they can feel, smell, and taste. These three senses can be useful even if only asking children to imagine what something might feel like, taste like, or smell like. Repeatedly expose children to the practices and concepts of science. This will increase understanding and enhance the cultivation of the scientific mind. Children absorb a lot, but often they don’t grasp concepts on the first pass. Lay a solid foundation with repeat practices—enhancing and diving deeper each time. Connect content to children’s reality and interests. Base activities on what is happening in the community; what plants and animals are found locally; and what the children are reading, watching, or talking about. Ask them what they are interested in, and collect their ideas. Base activities and learning units on their input. Allow ample time for questioning, exploration, and analysis. Reward curiosity by encouraging children to ask questions and explore content. Help them analyze their observations and organize their findings. Teach them to sort by a variety of variables such as color, use, sound, or texture. Focus on the process and learn alongside children. For example, if a child wants to know more about roller coasters, don’t be afraid of physics. Instead, get some building materials and investigate with her the forces that make roller coasters run. The importance of science and science education must not be understated. Science plays an important role in global society. Looking toward the future, the demand for science and technology skills in employment is increasing; workers and consumers alike need to understand complex systems and applications of technology. Capitalize on and promote the inherent love of science that children have. Wonder and exploration make life more interesting! The things we don’t understand become our inspiration for knowing more. Ask open-ended questions. When observing an object or starting an exploration, keep things simple. Use questions such as, “What do you notice?” “What does it remind you of?” “How is this object used?” “Who do you think invented this?” “What does it have in common with…?” and “Where might this animal live?” For younger children, open-ended questions can be challenging. To get things flowing, ask some yes-or-no or compare/ contrast questions, such as, “Do you have a tail like the rat?” “Is this shell smooth or bumpy?” and “How are these two insects the same?” This is especially useful with children who are just learning to express their ideas and opinions about what they observe. Don’t stifle their thinking. Children will surely come up with some outrageous ideas during the inquiry process. Rather than saying, “No, that’s not right,” ask them why they think that, and see where additional questioning can lead. Turn questions back to children. If a child asks you a question, turn it back to her: “Why do you think that happens?” gives her the chance to engage her scientific thinking. Don’t be afraid to say, “I don’t know.” Instead of this phrase being an end to learning, use it as an opening to deeper exploration. If you get stumped, ask the children, “How can we investigate that further?” Then, work together to find ways to gather more information. This could include additional research, reading books, or inviting a guest speaker to talk with the children. Let tangents happen. While we may want children to focus on the task at hand, sometimes their tangents can lead to very interesting learning. Creating a truly constructivist and play-based learning experience means allowing children to share their thinking and giving them time and space to direct their own learning. Excerpted from Science Not Just for Scientists: Easy Explorations for Young Children by Leonisa Ardizzon, EdD. Leonisa Ardizzone, EdD, has been a science educator for more than 20 years. After completing her doctorate at Columbia University, she was assistant professor at Adelphi University and Fordham University. She served as the executive director of the Salvadori Center, and is the owner of Storefront Science, a science exploration program in New York City. 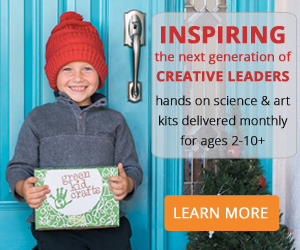 Every day, she helps children “explore outside their doors.” Gryphon House is an award-winning publisher of resource books for parents and teachers of children from birth through age eight.